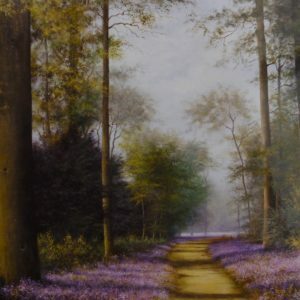 Born in Wells-next-the Sea, Norfolk in 1930, Jack moved to Great Yarmouth three years later and spent t the rest of his life in the immediate area having lived in the village of Caister-on -Sea. 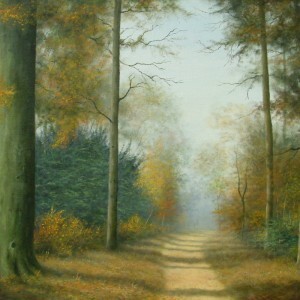 Jack decided to pursue a career in business therefore only able to paint in short bursts as and when time permitted. 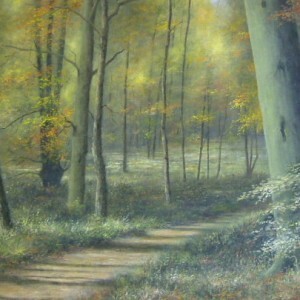 However in 1988 Jack opted for early retirement in order to devote more of his time and energy to his love of painting. 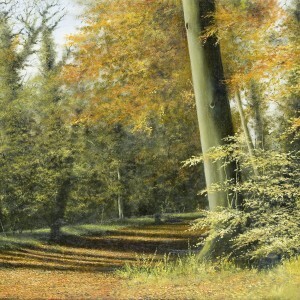 I t was at this time the association with Tudor Galleries was formed and through the gallery Jack became one of Norfolk’s most successful landscape artists. 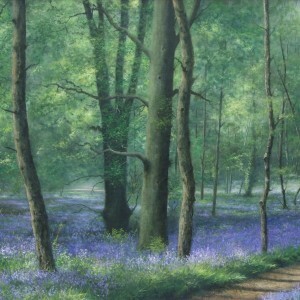 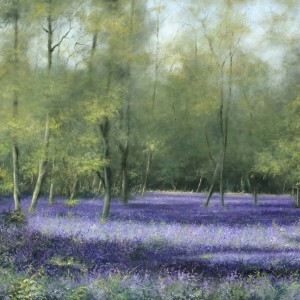 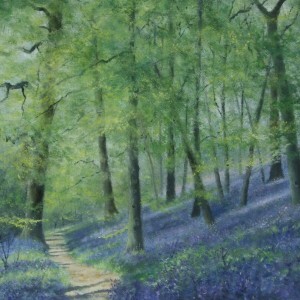 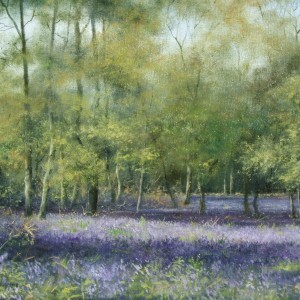 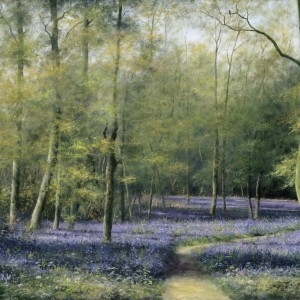 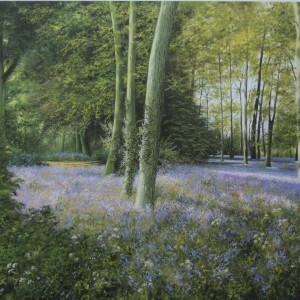 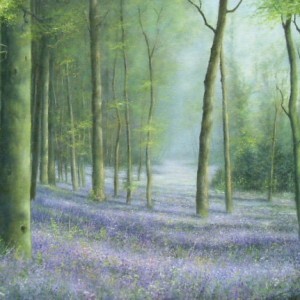 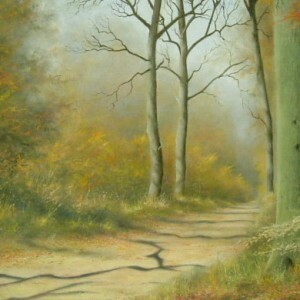 Being a self taught artist Jack worked hard in creating his own individual style, he perfected the technique of applying layers of paint allowing each layer to dry first thus forming the density of colour, which proved so effective in the woodland views for which he had established a high reputation particularly for his acclaimed Bluebell wood subjects. 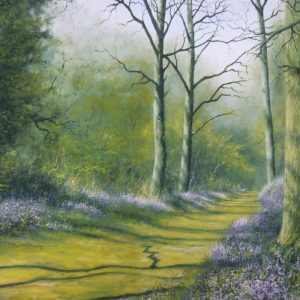 Jack’s paintings reflected the ever changing seasons ranging from his famous “Bluebell woods” with casting dappled shadows in warm spring sunlight through to glorious golden “autumn tints” and “Snow” scenes set against vivid winter sunsets as well as carpets of pure white “Snowdrops”. 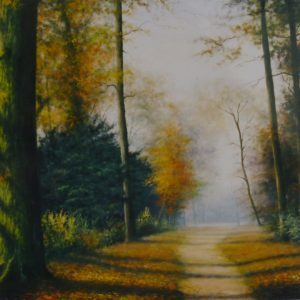 Quiet country lanes often with a distant Pheasant were also favourite subjects as well as Norfolk’s Broadland marshes with open skies. 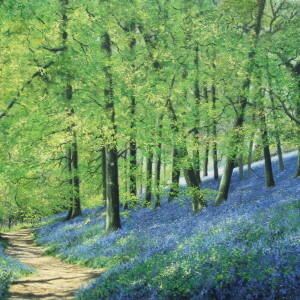 Jack Wiggins died on 13th June 2013.